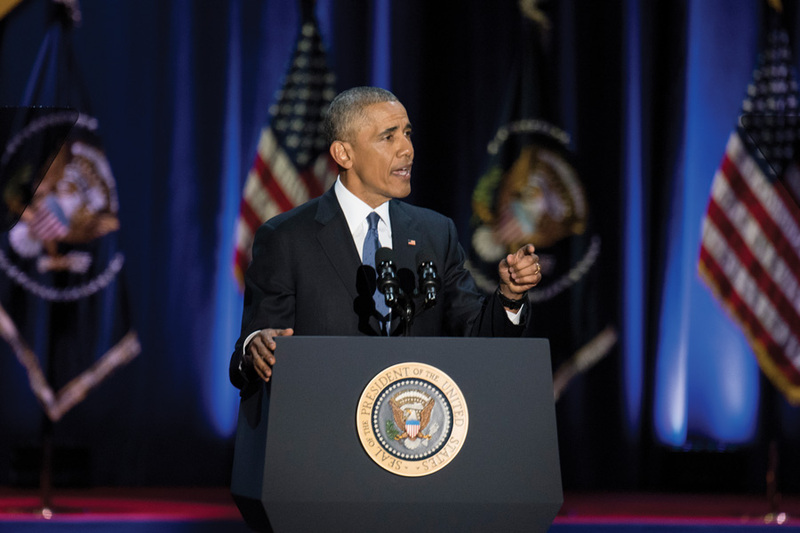 President Barack Obama delivers his Farewell Address at Chicago's McCormick Place earlier this year. On Monday, the former president will make his first public appearance since leaving office at the University of Chicago. Former President Barack Obama will make his first public address since leaving the White House at the University of Chicago on Monday. The conversation — geared toward “young leaders” and invite only — is part of Obama’s post-presidency goal to “encourage and support the next generation of leaders driven by strengthening communities around the country and the world,” according to a news release. However, the 44th president will abstain from critiquing his successor or offering up an opinion on his new policies, according to The New York Times. Northwestern had received a “limited” number of tickets for the event, University spokesman Bob Rowley told The Daily in an email. He added that those tickets would go to students who have an “interest in civic engagement,” but did not elaborate on a method of distribution. After spending weeks in French Polynesia, Monday’s event will be a homecoming of sorts for the former Illinois state senator — who once represented the neighborhood in which UChicago is located. Obama also taught as a law professor at the university. Tickets were divvied up between local universities and organizations, a spokesman for Obama told the Chicago Tribune. Others were distributed to Harold Washington College, Malcolm X College, Kennedy King College, Columbia College, Chicago State University, University of Illinois, Roosevelt University, Kenwood Academy High School, DePaul University and Loyola University. Local organizations that work with minority residents were also given tickets.